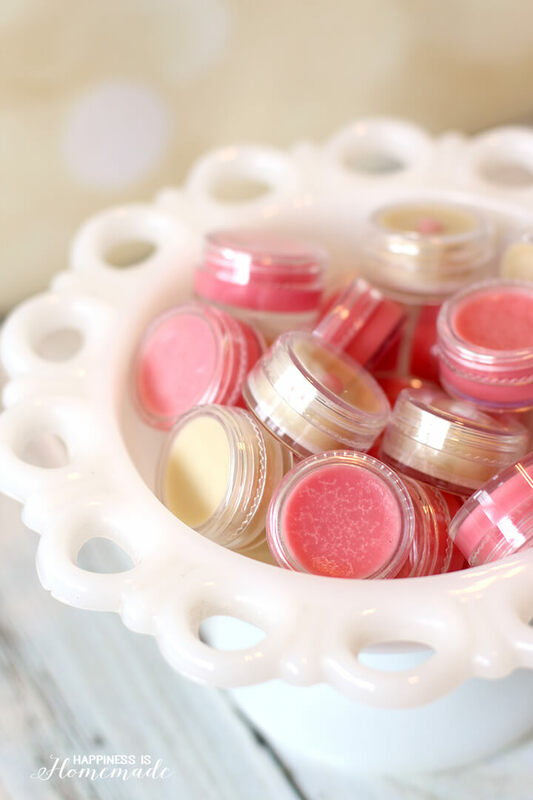 Make your own lip balm or lip gloss in just ten minutes! 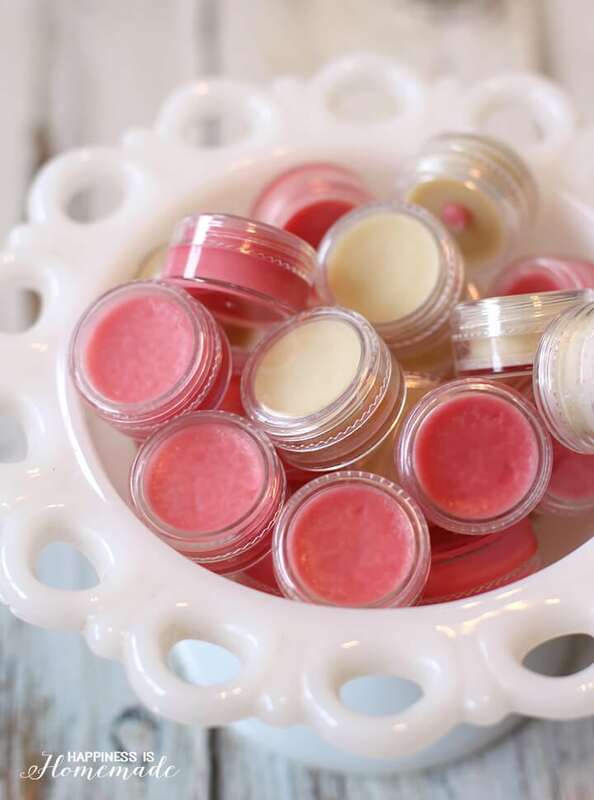 Homemade lip balm is a fantastic DIY gift idea with unlimited flavor and color options! I’m one of those people who can never have enough lip balm – seriously, I just went digging through my purse and discovered that I have NINE of them in there! With the harsh and dry winter weather starting to settle in, it’s especially important to keep your lips hydrated so that they don’t get chapped and irritated. 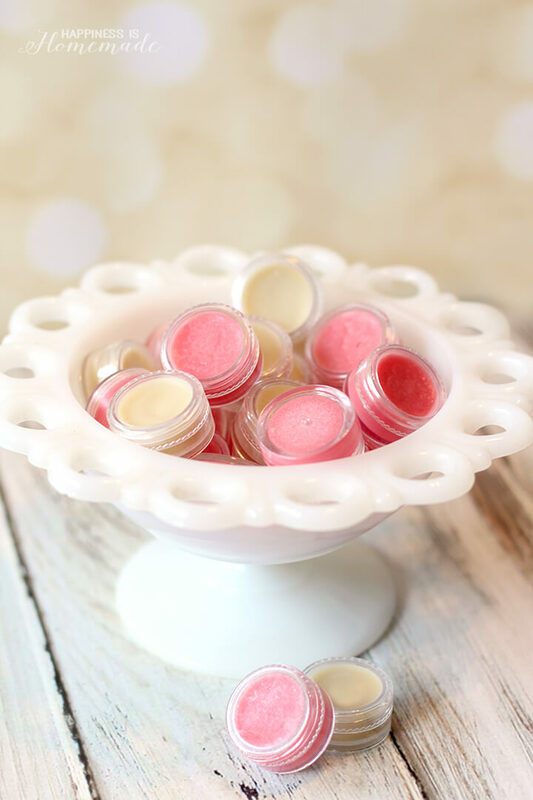 Lip balm also makes a quick and easy DIY holiday gift idea, and trust me, once you start to make your own, you’re going to want to make about a zillion different versions! 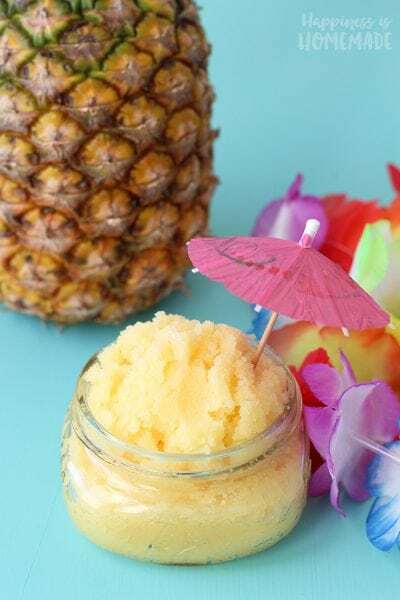 This basic recipe will create a lip balm that is firm to the touch, but that softens upon contact with your lips – perfect for filling tubes or pots. If you want a softer and glossier version, reduce the amount of beeswax by 1/3 and add a tiny bit more of the liquid oil. 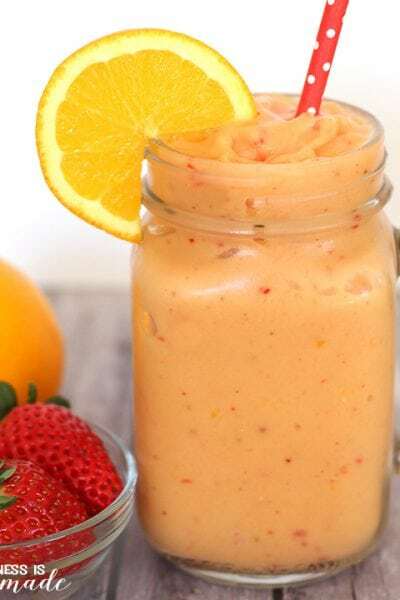 This recipe is VERY easy to alter to suit your needs and the ingredients that you have on hand, so feel free to play around with it! 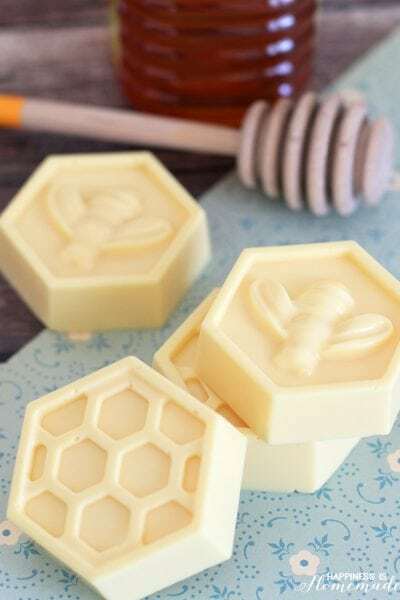 In a microwave-safe container (I use a glass Pyrex measuring cup), melt the beeswax, shea butter, and coconut oil in 30-second increments, stirring well after each one. Carefully pour into pots or tubes and allow to cool before using. Experiment with your favorite flavor and color combinations! Essential oils are a great way to add flavor along with additional health benefits (try peppermint, wild orange, lemon, lavender, citrus bliss, and more!) or if you prefer to use a traditional flavoring oil, you can enjoy every flavor from watermelon to cheesecake to tropical punch and root beer (and about a thousand other flavors in between!). A rainbow of different colors can be achieved with mica cosmetic coloring powders or you can simply melt down an old lipstick along with the lip balm ingredients to give it a colorful tint. Cosmetic powders will also allow you to add a bit of pearl shimmer or full-on glittery sparkle! 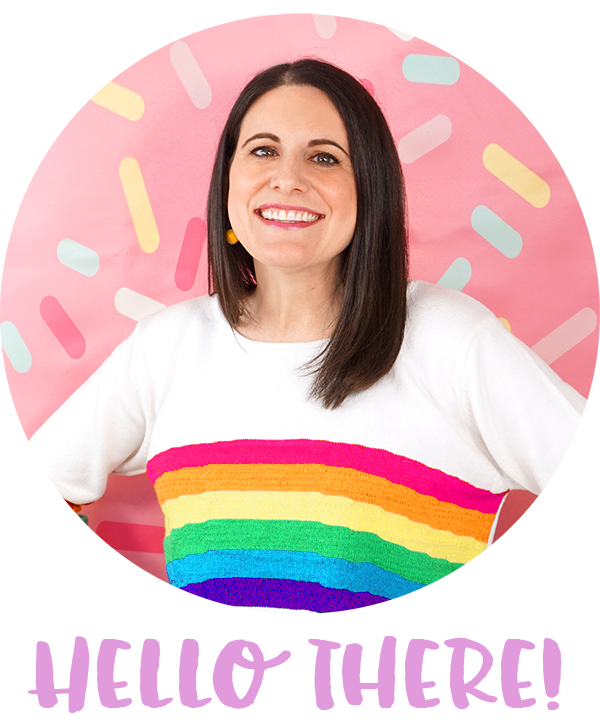 There are SO many ways that you can play around with this recipe to make it your own, and I hope you have as much fun creating your customized lip balms and glosses as I do! One can just use things like food coloring to color it and, say, vanilla flavor to flavor it, right? What can you use to make it different colors? I like to tint my lip balm with a bit of melted lipstick from one of my tubes, but there are also colorants available. What is the weight of this amount of beeswax? I have hibiscus powder here for to add a colorful tint, how much would you reccomend I us? I also want to make a mint chocolate one with cocoa powder. Would it work the same? 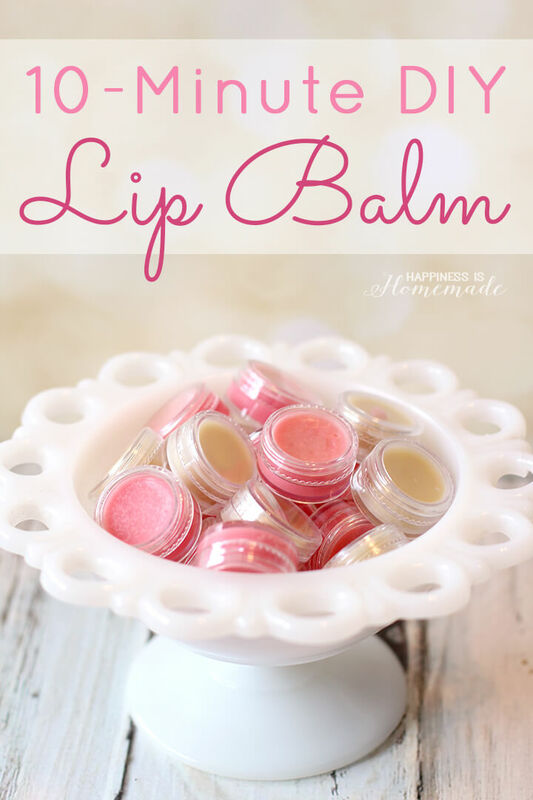 This is my third try with lip balm and this recipe is My absolute favorite !! Thank you so much for sharing! Thanks for the recipe! 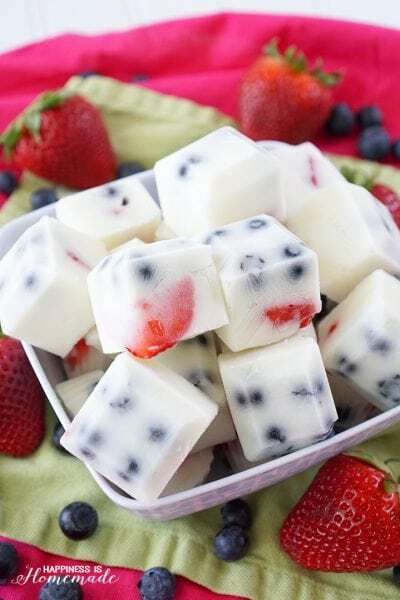 They look delicious =) I was just wondering how many lip balms does this recipe yield? Thanks! My kids and I are really excited to try out this recipe for Christmas presents, but, I was wondering how many lip balms this recipe will yield? About how many pots of lip balm would you say this makes? You said that it fills fifteen of 10 ml sized pots, right? Five pots of 4 oz size should be enough then, right? Thanks for sharing – so easy and very similar to my lip balm I just ran out of 🙂 Will be making it again soon! Will Kool-aid work as an colorant for this recipe? 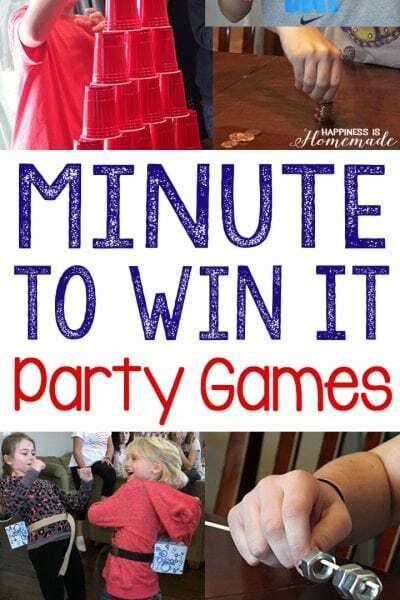 I haven’t ever tried it, but I have heard of other people doing it successfully. If you try it, please let me know how it works! Have you tried using an extract instead of oil? I wanted to use strawberry extract for flavor. 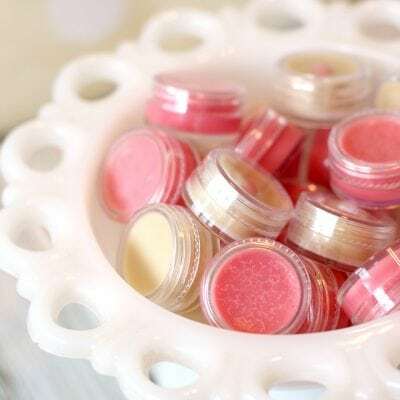 I prefer to add fruit powders or something natural for color tinting for something more natural, but melting down lipstick is a great idea to get rid of the last little bits in the tube. Thanks, Christine! I hope you love it! Would cocoa butter work with this as well? My mom is allergic to Shea. I’m so behind, but I’m wondering about the texture of the lip balm. Melting Shea Butter always leaves me with a grainy texture. Does that happen in this recipe? Wondering if maybe the beeswax prevents that.